Ruairi Deane scored the decisive goal for Cork in their win against Tipperary (file pic). CORK GAVE THEIR Division 2 prospects a lifeline with a hard-earned first win of the campaign in front of a crowd of 1,179 in Thurles. Ronan McCarthy’s men had to survive a late Tipperary rally but did enough to hold out for a much-needed win. The loss plunges Tipperary into deep relegation trouble as their fight-back came up just short. Cork had the breeze in the opening half but it was Tipperary who made the better start and opened up a two-point lead after nine minutes thanks to a couple of frees from Conor Sweeney. It took Cork time to settle but Michael Hurley got them off the mark with a good point after 13 minutes. Mark Collins followed up with an equaliser from the right wing shortly afterwards. The Rebels pushed on from there, with Luke Connolly edging them in front for the first time after 17 minutes with a close range free after captain Ian Maguire was fouled as he bore down on goal. Cork increased in confidence after that and Hurley landed his second point of the night with a fine effort from the left wing to make it 0-4 to 0-2 going into the second quarter. But Tipperary, with Steven O’Brien impressive around the middle of the field and Sweeney a good target-man up front, hit back and Jack Kennedy finished a good passing movement with a point after 22 minutes. Brian Fox, cleared to play after having his red card from last week against Armagh rescinded, then kicked the equaliser seven minutes from the break. But Cork finished the half strongly. Connolly kicked another free and Eoghan McSweeney supplied a fine effort from 40 metres. The Rebels took a 0-7 to 0-4 lead into the break after Paul Kerrigan pointed from 35 metres shortly before the interval. Cork pushed on from there and doubled their lead in the opening nine minutes of the second-half, with Connolly kicking two more and Cillian O’Hanlon adding another. Mark Collins made it 0-11 to 0-4 before Sweeney got Tipperary’s first score of the second-half after 49 minutes. Sweeney followed with another point and Kevin Fahey also found the range to cut the gap to 0-11 to 0-7 going into the final quarter. Tipperary got the margin down to three but the decisive score came four minutes from time when Sean Powter set up Ruairi Deane and he drove the ball into the bottom left corner of the net. Tipperary never gave up, but while they got the gap down to three, they were unable to rescue the game in the dying moments. 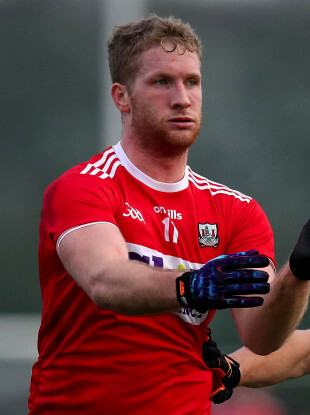 Scorers for Cork: Luke Connolly 0-5 (0-4f), Ruairi Deane 1-0, Michael Hurley and Mark Collins (1f) 0-2 each, Cillian O’Hanlon, Paul Kerrigan and Eoghan McSweeney 0-1 each. Scorers for Tipperary: Conor Sweeney 0-7 (0-6f), Jack Kennedy 0-2 (0-1 ’45), Dan O’Meara (f), Kevin Fahey and Brian Fox 0-1 each. Email “Ruairi Deane's late goal gives Cork footballers a much-needed first victory”. Feedback on “Ruairi Deane's late goal gives Cork footballers a much-needed first victory”.